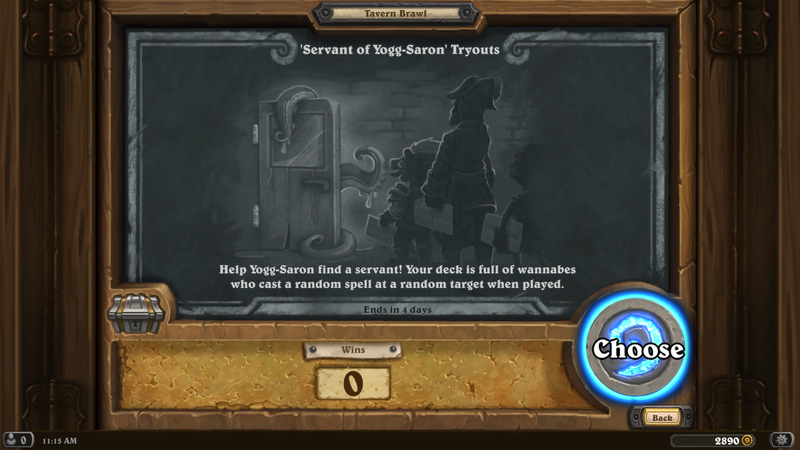 We have had this week’s Tavern Brawl a few times-Servant of Yogg-Saron Tryouts. 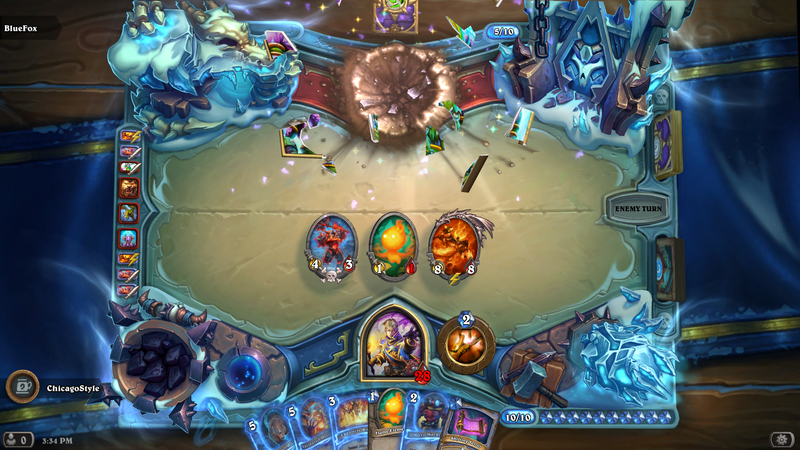 Pick a hero and get a deck full of random minions, and spells. When you play a minion, a random spell will be cast with the same mana amount, on a random target. It’s perfectly random, so prepare for that. 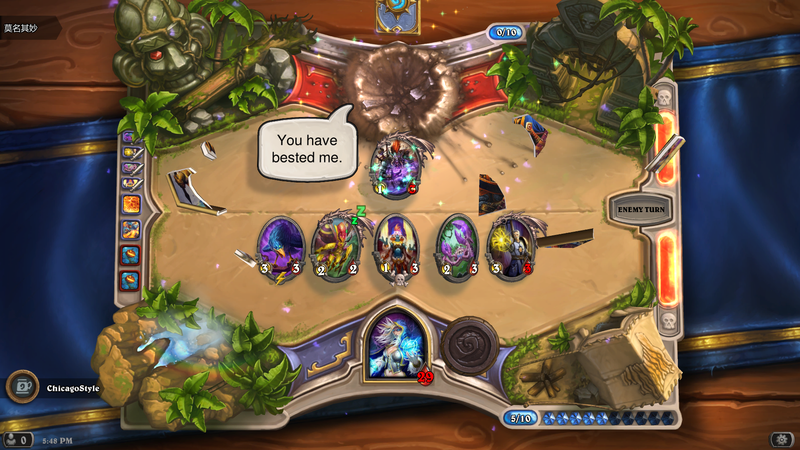 I picked a mage because that’s what I like to do. I quickly outflanked my opponent. Looking back, I am kind of surprised they didn’t “opt out” sooner. 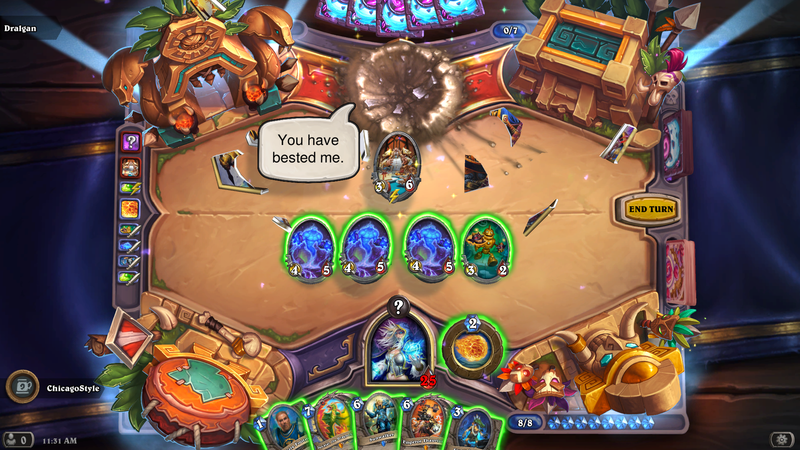 Make sure to attack if you have minions on the board, before you play another. You might not like the outcome of the next spell. 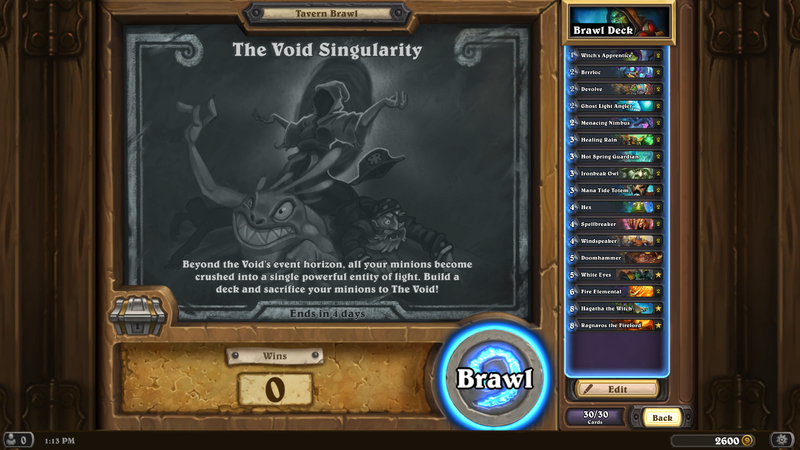 I’ll probably play this brawl a couple more times, just because the Yogg Saron card was one of my all-time favorites. Get on in there, get your free pack, and have a blast! I did. See you next week! 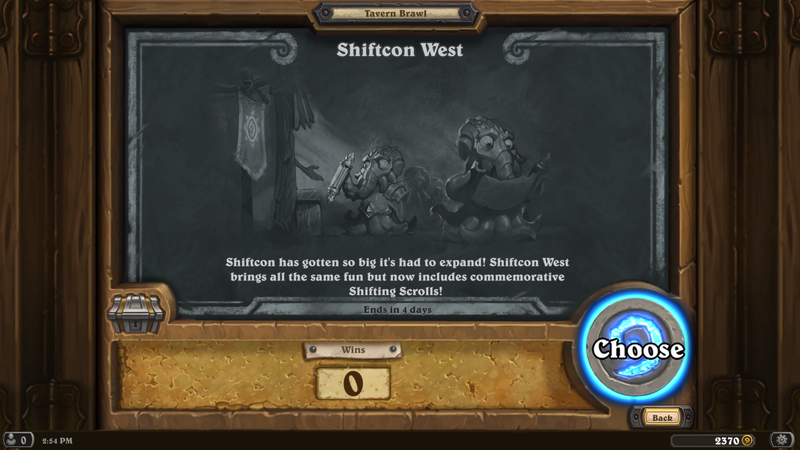 This week’s Tavern Brawl was a new take on a basic brawl. 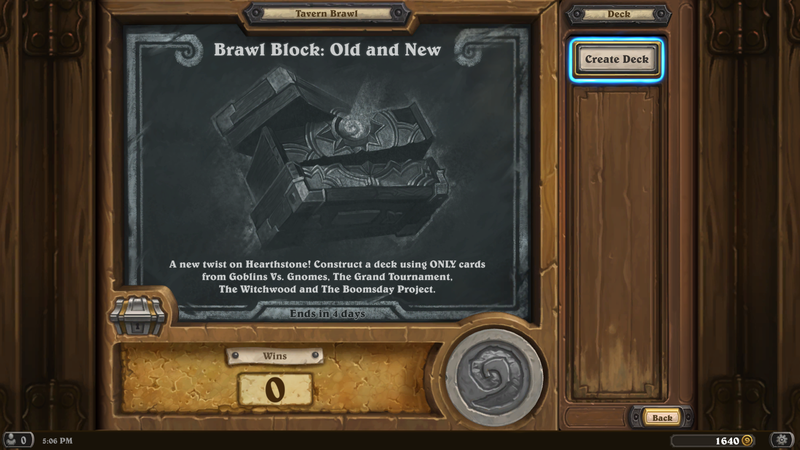 Brawl Block: Old and New. 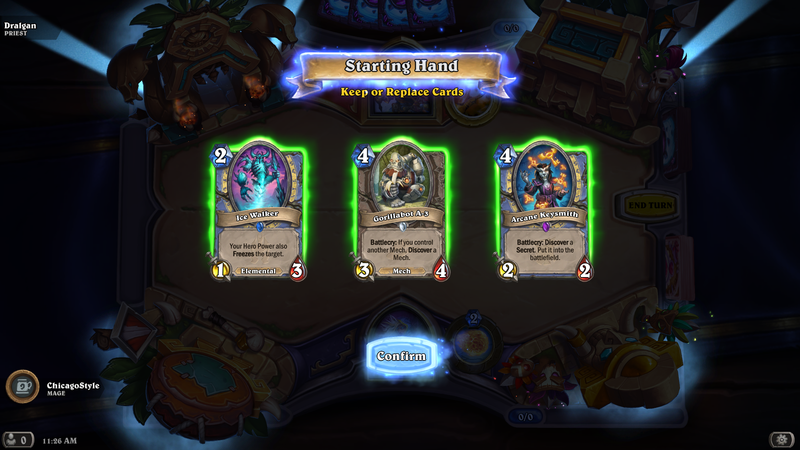 Basically, make a deck only using cards from Goblins vs Gnomes, The Grand Tournament, Witchwood, and The Boomsday Project. For me, this was hard. I didn’t realize how dependent I have been on the Classic cards. 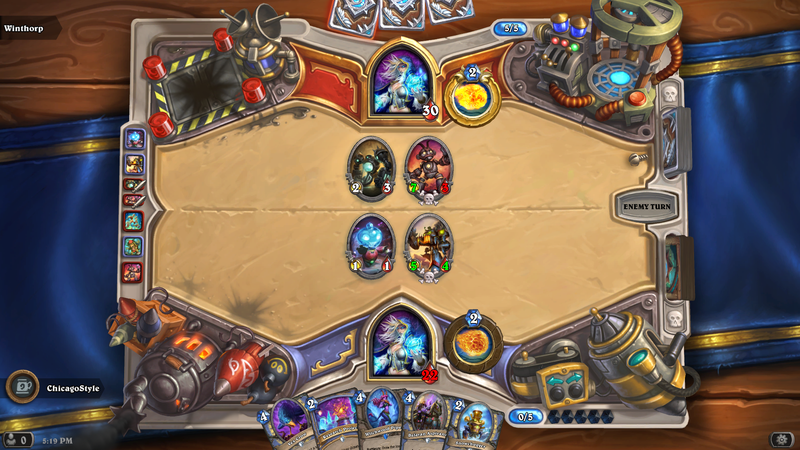 My first instinct was to do a mech deck, until I realized how little mechs I had from those 4 expansions. 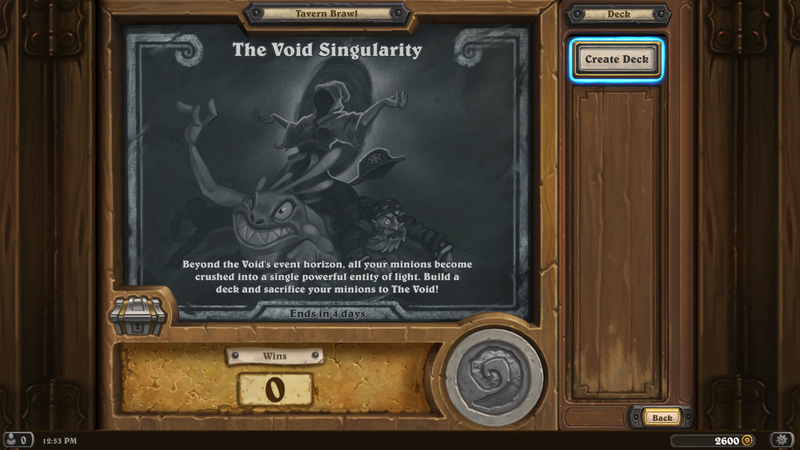 I actually had to craft a bunch of cards because I only had 1 copy of many. 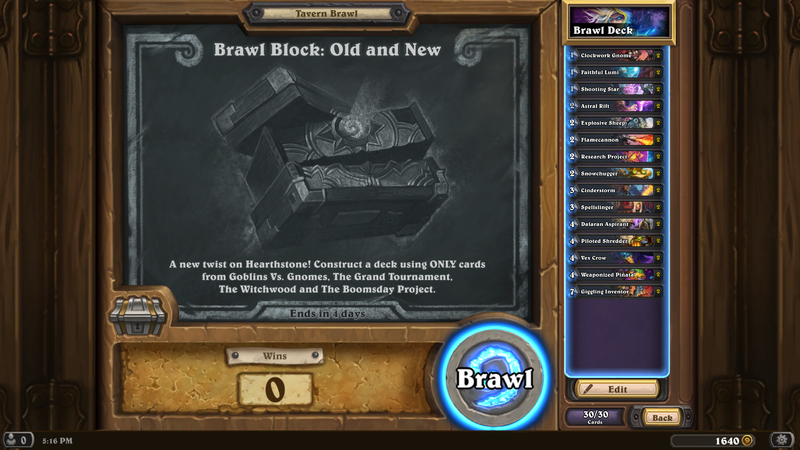 I was also playing later in the day after people had access to this brawl for 6+ hours. 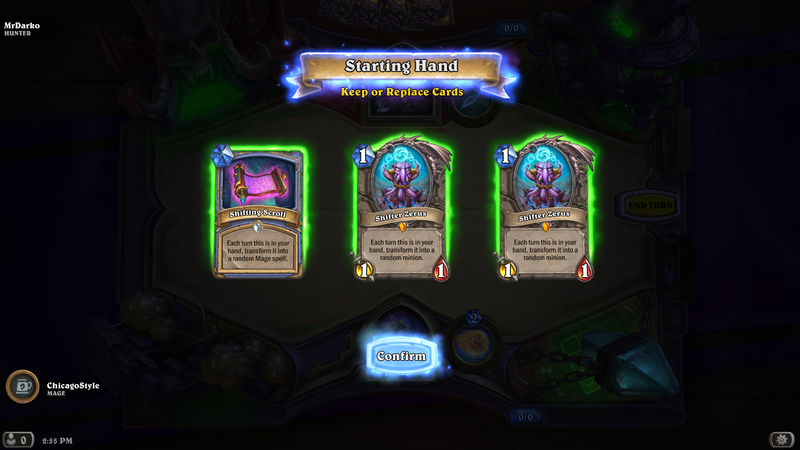 So, I do what I normally do, and make a mage deck. I thought I had a decent deck until I saw all these exotic cards come out. It took me a couple games, but I got lucky. 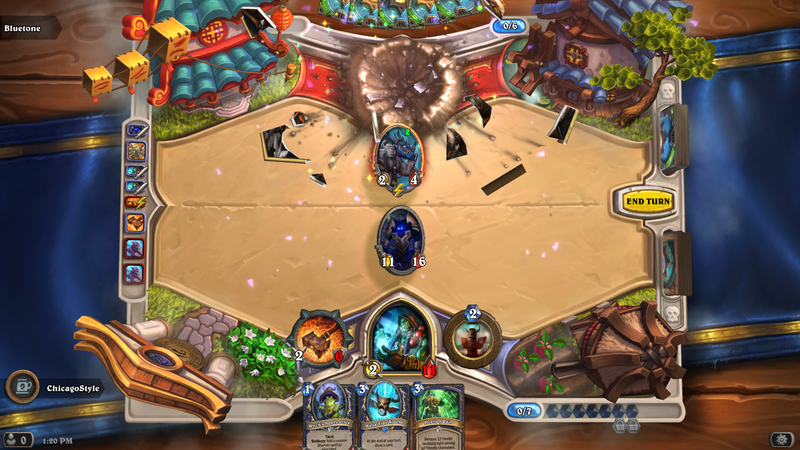 Figures I went up against 2 mage decks back to back. Not a huge fan of this format. I got my free deck, and got some screen caps to write my post. Hope you enjoy it more than I did. See you next week!